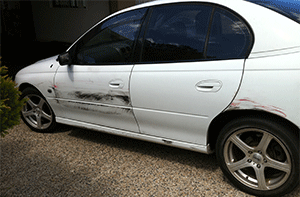 Accidents can occur at any time leaving your vehicle looking the worse for wear. Damaged paintwork is both unsightly, and a painful reminder of the time when the incident occured. Thankfully in most cases we can help restore your vehicles outer finish with our professional vehicle polishing service! 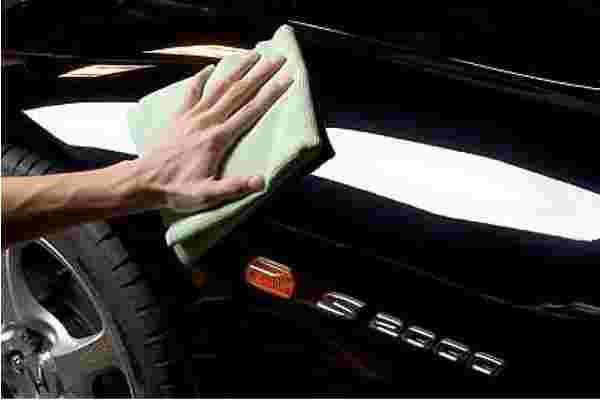 Our superior techniques can remove scuffs and scratches from the exterior of your car leaving it look as good as new. If you were unfortunate to have had your vehicle damaged then we are here to help you get it looking as good as it possibly can in no time at all. Call us today to discuss all your vehicle restoration needs and we can advise you on the best solution to getting your car’s exterior back up to it’s pristine best. The vehicle shown was involved in a “Road Rage” incident. As you can see in the photos above, the incident left the vehicle badly damaged and looking very unsightly. 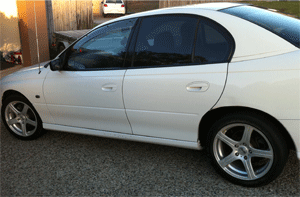 After our professional restoration service, you can’t tell that the car had been damaged at all! Please fill out the form below and we will get back in touch with you shortly.